Our CEO, Devashish Mamgain spoke to Siftery, a product discovery platform in an exclusive interview. The following are excerpts from that conversation. 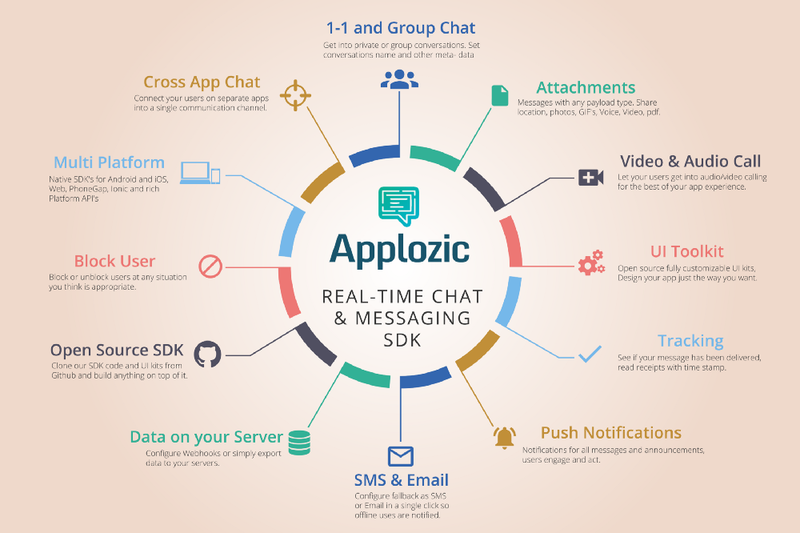 Applozic is a real-time chat & messaging SDK for your mobile and web apps. 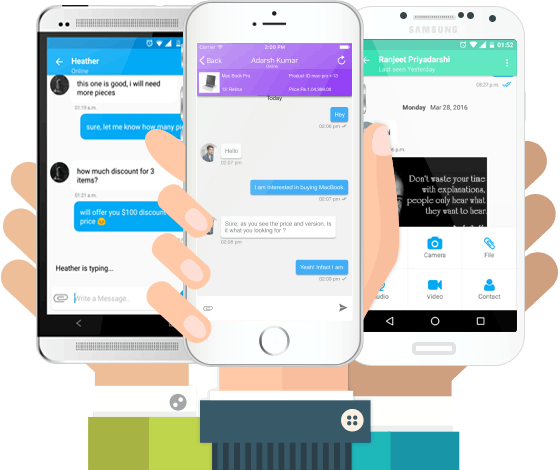 The SDK comes with a ton of features and allows developers to build in-app chat with all the essential elements like typing indicator, file and location sharing, push notifications and more. The native SDKs and UI Kits are available on Github so developers have the freedom to custom build messaging just the way they want. With Applozic, you can enable your application users with Whatsapp like in-app rich messaging and topic/context based chat, push notifications, cross application communication and message broadcast for business. Think about any type of conversation (1 to 1, 1 to many, closed group, open channel, context based chat, application to users messaging). It even has SMS/Email as fall back for offline conversations. Kevin William David interviewed Devashish Datt Mamgain, Co-Founder of Applozic Inc to learn more. Can you tell us about what you are working on? What is Applozic? 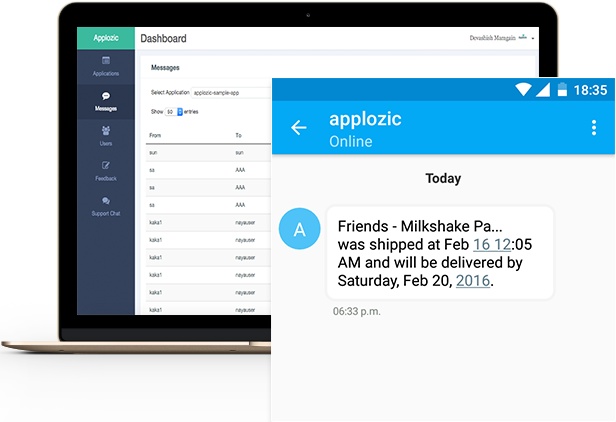 Devashish: Applozic offers a complete end to end communication platform (native SDKs and Backend) so you can quickly enable cross platform real time messaging on your mobile and web apps. The SDK and UI kits are open sourced so developers have the freedom to build custom messaging for their businesses quickly. Why are you building this? What problem are you trying to solve? Devashish: IP Messaging is the need of the hour for most app businesses since it not only increases User engagement and Loyalty but also addresses the need for “Context” based Application to Person communication. This being said, developers, these days tend to outsource their non-core functions to third party service providers to focus on their core product. This is evident from Google building Google Maps to simplify navigation, Stripe and PayPal simplifying Payments — which made us realize that Messaging can be simplified in a similar way and thus we built Applozic. How are you different from what’s existing in the market right now? What’s unique about what you are building and why should your end customers use your product? In-App Messaging/Push notifications that supports Rich Media for Advertisements and Context Based A2P messages. Message Broadcasting and much more. SMS/Email Fallback to notify offline users, gives us competitive advantage. Who are your customers & who are you selling to in a company? Devashish: It has been more than a year now that we made our platform available to the public and we already have 100+ businesses using our SDKs. Being a White-Label solution, we can’t publicly name all our Customers, but any business that sees a scope of Use-to-User interaction, be it of any type can use Applozic. We have so far seen Use Cases from multiple industries — Online Marketplaces, Social & Dating, Gaming, Classifieds Portals, On Demand Services and Ed-Tech being a notable few. Ours being a SDK that can be used as a Plug and Play Messaging toolkit, we basically focus on CTOs, Product Managers and developers while selling our product. MagicBricks, one of our early adopter for their consumer app, has expanded their usage on several other verticals. Other notable customers would be Car Trade — an online portal for buying and selling Cars, Waseet — a leading Classifieds portal of the Gulf & The 8Apps which is a Social Networking platform. When you started doing sales, was there a segment or industry that you went after? If so, what was the reason? Devashish: We started with Online Marketplaces that sees different types of users. Marketplaces brings the service/product buyers and sellers together and there was no promising option to allow these two types of uses to interact with each other in real time. Devashish: Our platform being completely customizable, have been put to use in many different ways specifically based on the industry the customer is from. It has been mainly used for User to User and Business to User communication and more recently is being used for Bot Human interaction as well. What are some unique cases that your customers have used Applozic for? Devashish: We have seen many Use Cases and sometimes we are taken by surprise too. A typical Use Case quite prevalent is that of Customers from Online Marketplaces. They basically use Applozic for different types of users on their platform — Buyer to Seller, Lawyer to Client, Teacher to Student and particularly exploit the feature of Context-Based Chat, which allows the same set of users to chat about different contexts on separate chat windows. 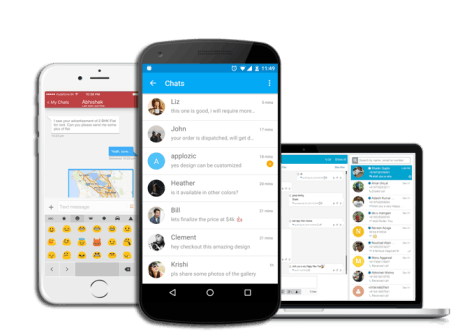 Another widely used feature is “Cross app chat”, that allows users from two different apps to chat on a single communication channel, for e.g. any company with separate app for dealers and buyers can connect both parties on a single chat platform. Another recently trending Use Case is that of “Bot + Human” interaction, where Users can chat with Company’s bots, where User inputs will trigger an API call to the Bot through our Chat platform and the response will be populated on the chat screen in real-time. Early on, what were some of the biggest challenges you faced like while building the product and how did you solve them? Devashish: Applozic is a custom Messaging platform, which means our platform can be exploited in multiple ways, as best suited for the customer’s business. Hence the initial problem that we faced was informing the market about our platform capabilities and how they are not confined to specific Use Cases, and can be customized to suit the needs of Businesses of all types. Another challenge that we faced initially was addressing the Build vs Buy dilemma faced by Customers. Therefore we gave enough value both qualitatively and monetarily to customers so that they see advantages in integrating with us. Thankfully, the scenario has changed now and customers are more open about outsourcing their non-core activities. What are the top 5–10 tools that you depend on the most to run Applozic & how do you use it? Devashish: We use MailChimp for email newsletters. Our newsletter has 5K+ subscribers and are mostly developers and product owners. MailChimp’s easy drag and drop designer helps us big time to create campaigns quickly. We use PersistIQ, particularly for outbound reach outs. Our sales team just loves it as it offers email cadence and trigger points to bring smartness into email automation. Google Analytics helps us understand what happened when we did a particular campaign, did that result in good traffic or not. So it helps us optimize our campaigns better. Calendly has been very helpful in scheduling organic meetings. We have about 80% meetings scheduled on Calendly. We use Amazon services since the time we started building Applozic. Our backend is on AWS and has been amazing with 99.99% availability, just as they promised. This is crucial for us as we are communication platform as service and it cannot take rest anytime.We have built our messaging around MQTT as its the “lightweight” messaging protocol and consumes very less of device batteries. SumoMe brings a good amount of intelligence when it comes to users behavior on our website. Heatmap in particular helps us understand the big deal of what needs to be taken care of. Please note: This was originally published on Sifery’s blog. Our product is trending on it currently as a number of our customers recommended us, in case you have missed out, do it now!